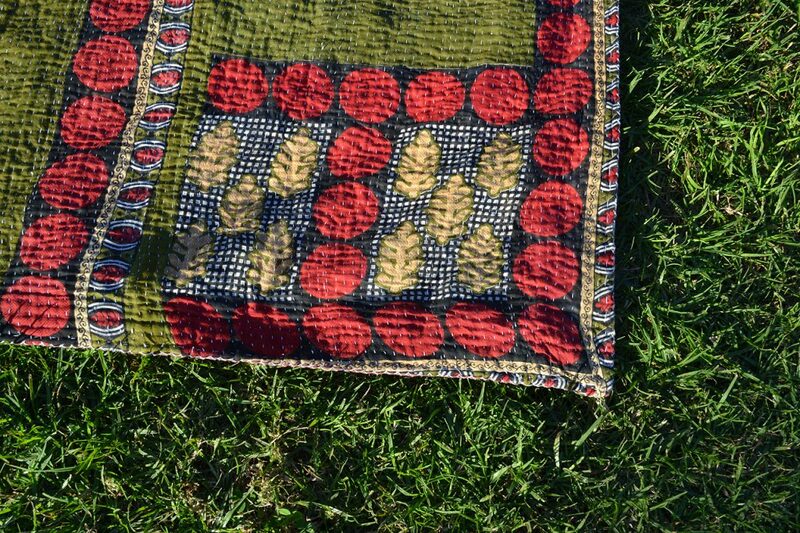 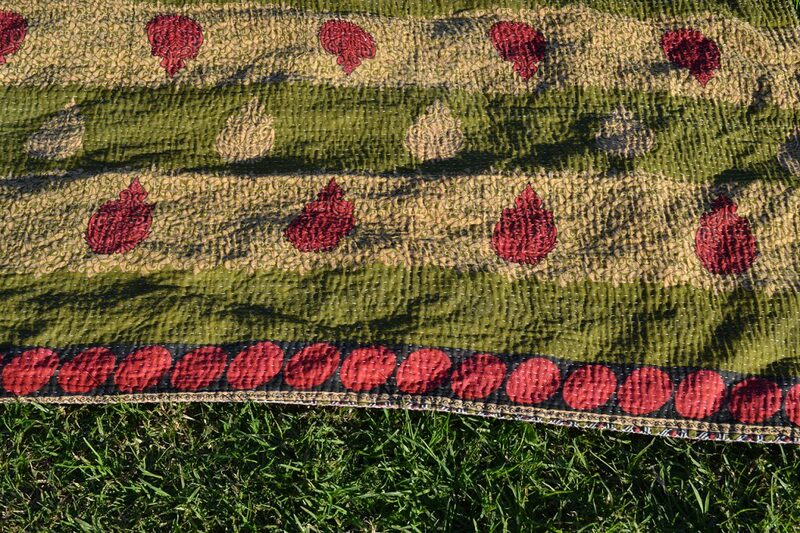 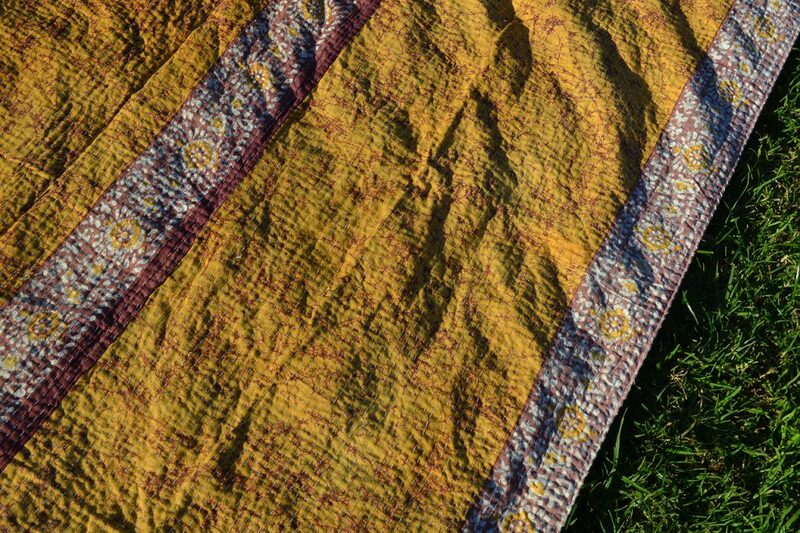 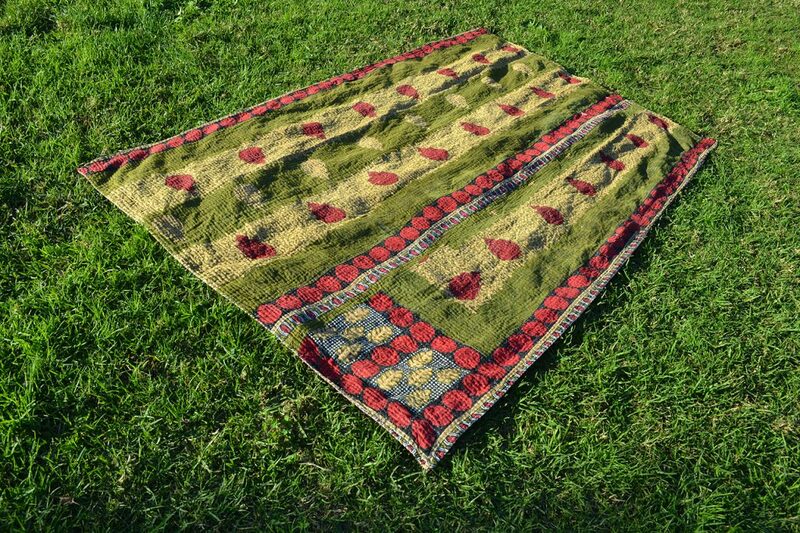 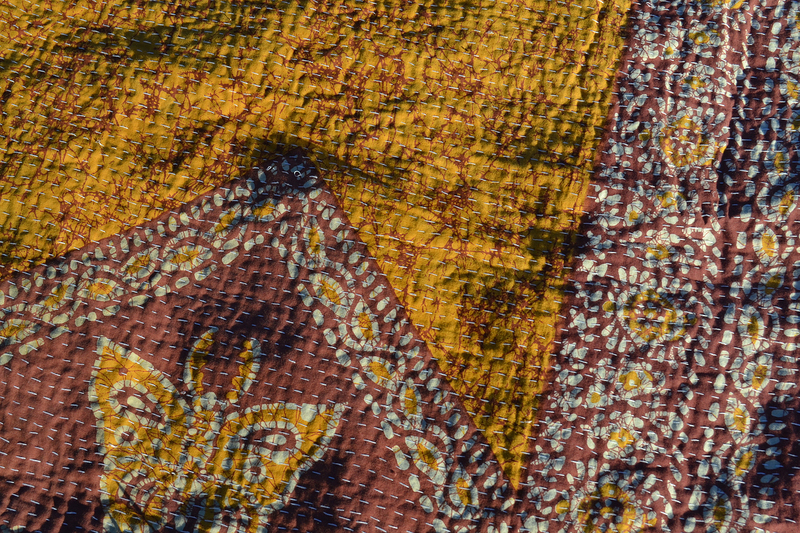 Earthy batik print combined with more warm tones of olive, deep red and beige on the reverse gives this kantha a cosy feel. 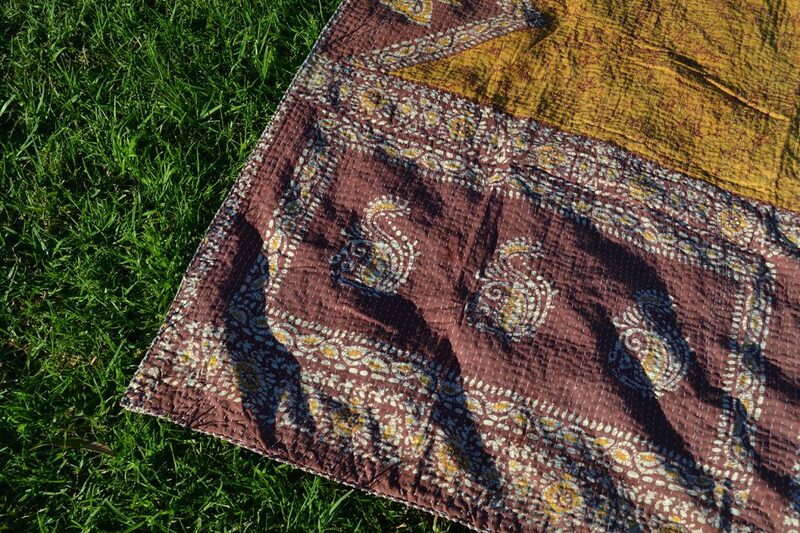 Soft and light-weight, easy to carry around in case that picnic opportunity arises! 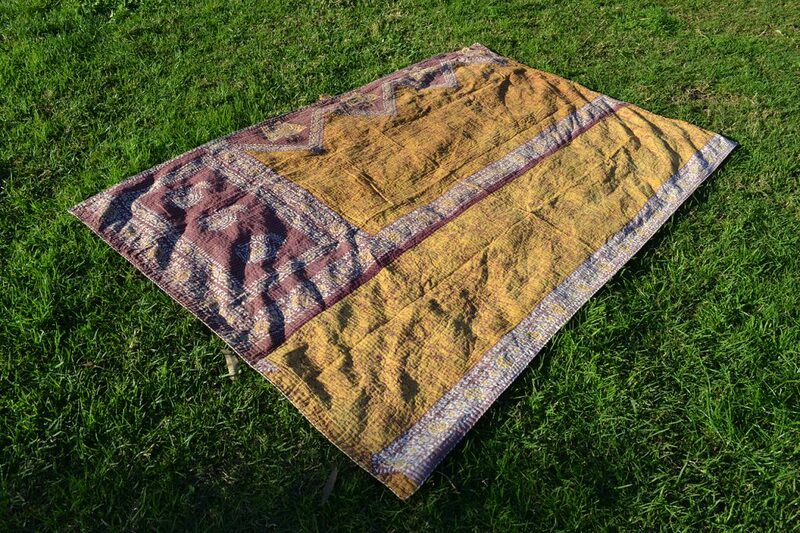 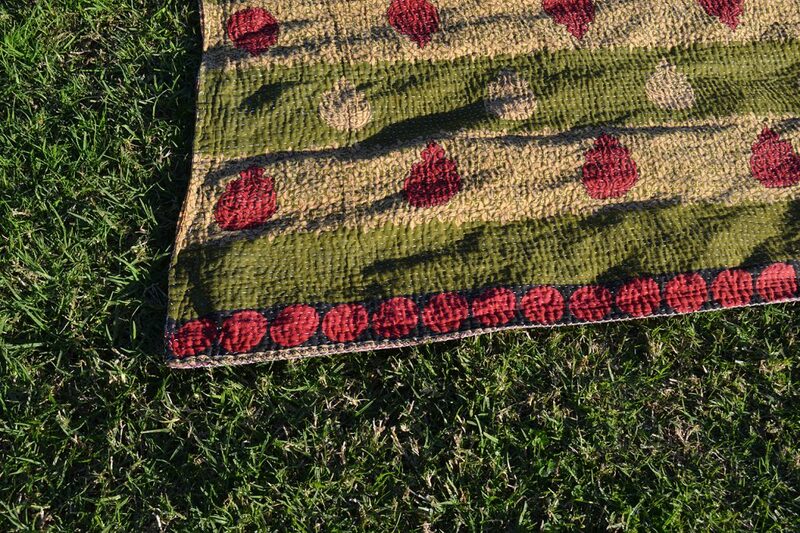 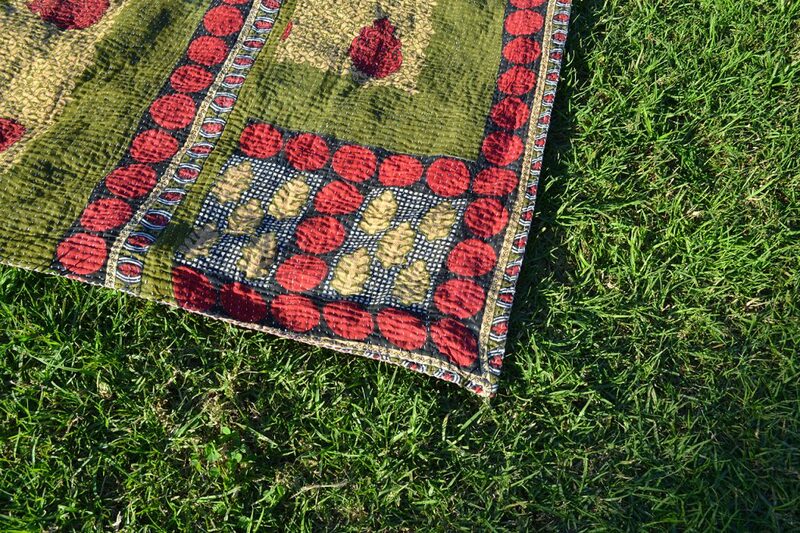 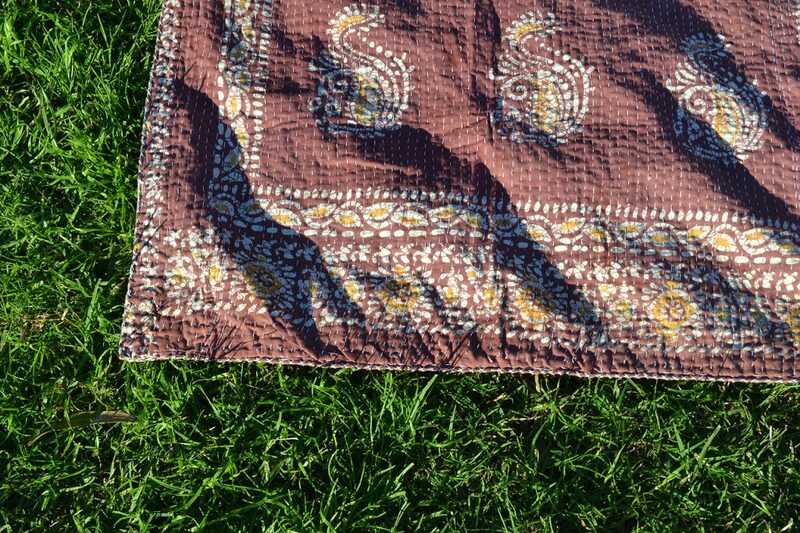 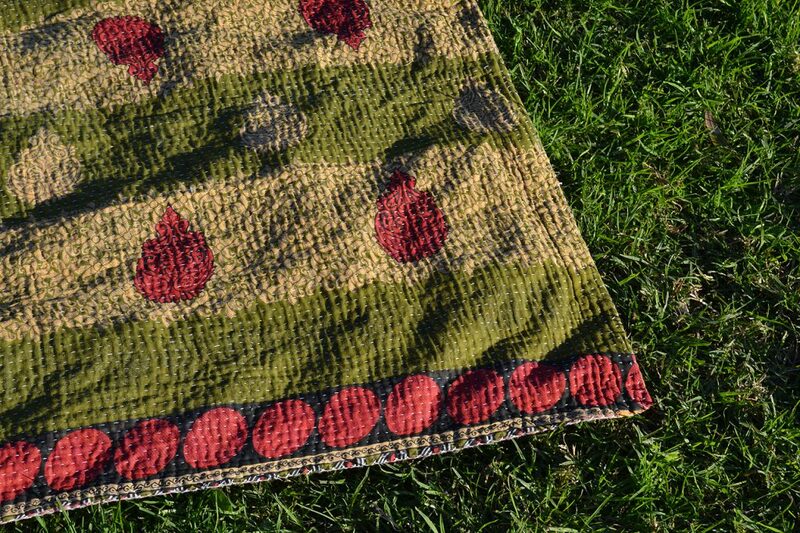 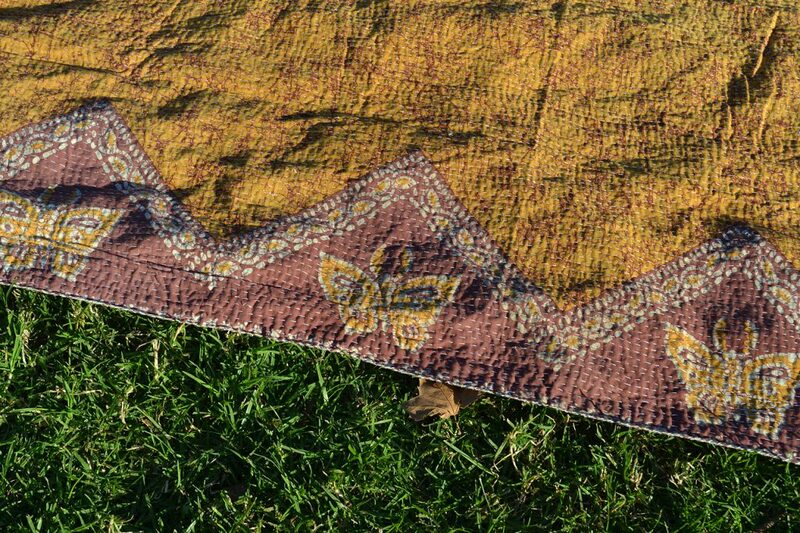 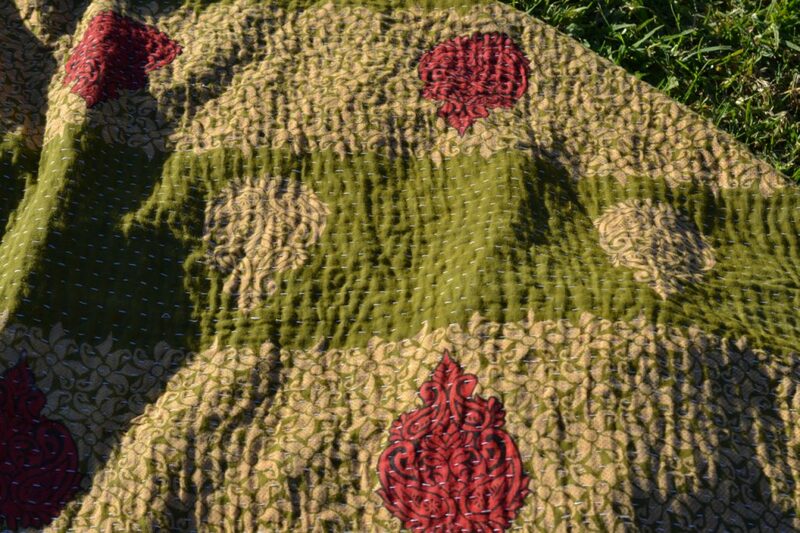 Available in our shop at The Kantha Project.